Whether it is a dispute over child custody or a petition for dissolution or any family law issue could create concern. 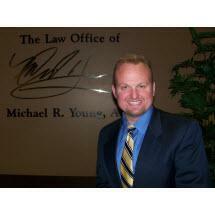 At the Michael R. Young Divorce Law Firm in Redlands, California, we make it a priority to put clients’ minds at ease as they face some of the most stressful situations they may ever encounter. Our attorneys provide the people we serve throughout San Bernardino and Riverside counties with undivided attention and compassion from the free initial conversation and in every interaction afterward. Not only do we handle these matters, but we do so successfully. We have excellent relationships with judges and other personnel in the legal community. In courtrooms and negotiations, we assert our clients’ rights and refuse to settle for anything less than what is fair and just. The attorneys at the Michael R. Young Divorce Law Firm hold honors such as the highest peer rating possible of AV Preeminent* from Martindale-Hubbell; an Avvo “Superb” rating; and being selected for inclusion in the Super Lawyers list. As a matter of convenience, we accept credit cards. Estate planning and probate law are areas of the law that can help you plan how your assets will be distributed, who will care for your children, and any other items that need to be planned before your death.